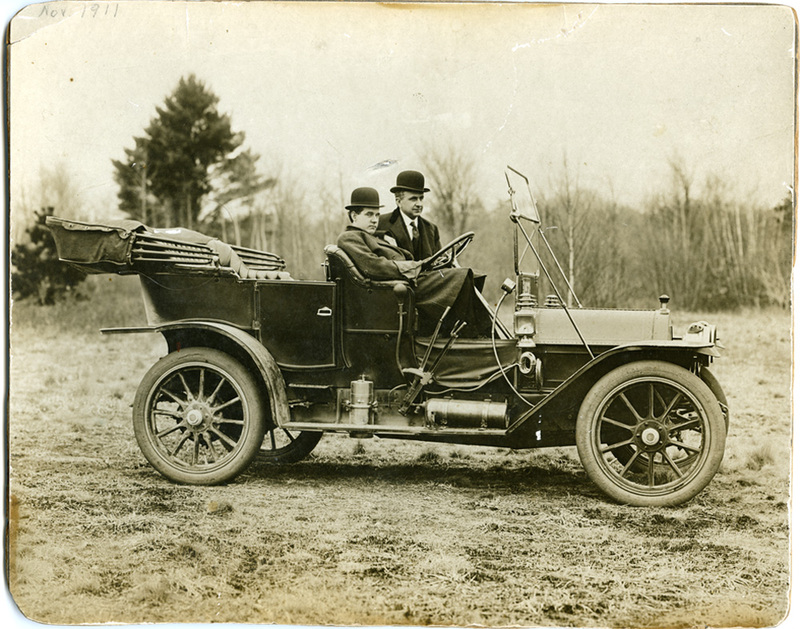 Yet another topic to collect – old car photos. I’ve had an obsession with cars since I was a kid – my dad had a 1955 Ford Thunderbird that he restored, and that sparked the passion. In high school, I drove a 1962 Nash Metropolitan until my parents decided it was unsafe and made me get a used Honda instead. Which turned out to be far more unsafe than the Met, because it was capable of going fast :). For your appreciation, here’s a 1920s Packard, and a 1911 Cadillac. The Packard photo is clearly a snapshot, having been made with a smaller camera and printed by machine on thin gaslamp or other silver gelatin paper. The Cadillac photo is more of a formal portrait, contact printed and mounted on heavy card stock, taken with an 8×10 view camera. The owner would have been extremely proud of his car to have taken that photo, as the level of effort and expense to do it were considerable. And in November of 1911, he would have been justifiably proud of that car – Cadillacs have always been expensive luxury cars, but in 1911, a car like that would have been a truly rare thing and extremely expensive. 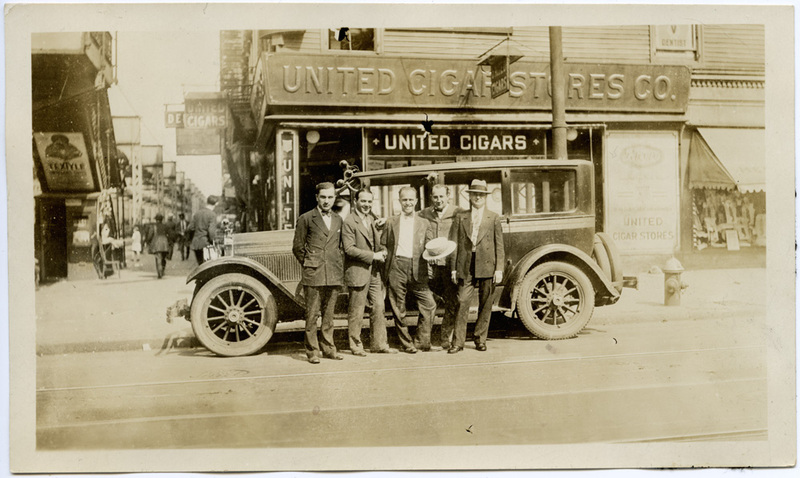 By the early 20s when the Packard photo was taken (the car looks like it is somewhere in the neighborhood of 1923-25), not only was photography more accessible to a mass market, so were cars – even Packards were more commonplace, and they were direct competitors to Cadillac, if not considered superior. Packard was one of the three “P’s” of the great automobile manufacturers of the 1910s and 1920s – Packard, Peerless and Pierce Arrow. By the 1930s, Peerless was gone, and Pierce Arrow was on the ropes, to vanish as a manufacturer by the onset of WW II (although their 12-cylinder engine continued on in production in one form or another into the 1980s as the power plant for fire trucks). PS Love these pics, Scott!